Light cover wear, firm binding, text unmarked. Previous owner's name on first endpaper. Textblock foredge shows a few stains. 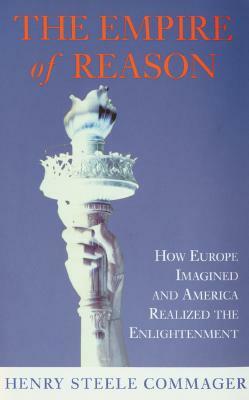 The foremost American historian of his generation delves into the nation's European origins, illuminating how the new country embodied the principles of the Enlightenment--ideals that Europe, trapped by tradition and privilege, could not itself realize. ..."crystalline clarity of...writing causes] explosions in the reader's mind...history to be pondered and cherished." --The New York Times. "Learning and reason are at the service of a mind whose understanding of democracy gains brilliance and power from a passion for...freedom." --Arthur Schlesinger Jr.